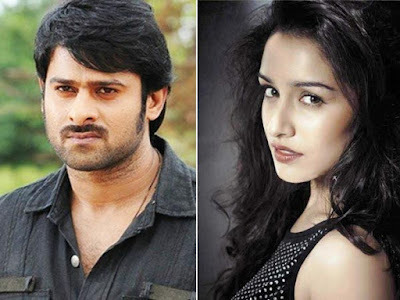 If Prabhas laid out a lavish spread for Shraddha Kapoor on her first day at Saaho sets, the Bollywood actor too had a surprise in store for Telugu cinema’s darling. Know it here. The buzz around Prabhas’s next film is very high. The film has been in news since the day it was announced. The latest was about a lavish spread Prabhas and the team had laid out for Shraddha on the first day of the shoot. The Bollywood actor was pleasantly surprised, it was reported. Now, it has come to light that she too has a surprise in store for the Baahubali star. According to a report in DNA, the Haseena actor binge watched all the previous films of Prabhas and surprised him with her know-how about his movies. That certainly must have come as a pleasant surprise for Prabhas too. Nice way of bonding between the stars, we’d say. Saaho is said to be an action-packed thriller, directed by Sujeeth Reddy. The makers say that viewers will see a very different Prabhas in the film. This should be true particularly for the pan-India audience, who ‘discovered’ him with Baahubali. Shraddha, on her part, made an entry into the team after much consideration. It was speculated that the sweetheart of Telugu films, Anushka Shetty, would feature as Prabhas’ love interest. However, given her prior commitment to a big Tamil film, the actress could not give her dates for Saaho. Shraddha was zeroed much later. Her remuneration too was a topic of discussion as she came on-board after a deal of Rs 5 crore was agreed upon.